Pavement engineering is undergoing significant changes in the options available for materials, design, and rehabilitation. 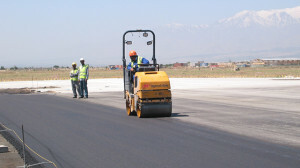 Recent innovations in pavement materials include using polymer-modified binders, Superpave binder specifications and asphalt mixture designs, and utilization of recycled asphalt, fiber or polymer stabilization of soils and marginal materials, which has become necessary due to depleting supplies of materials that meet standard requirements. Recent significant changes for pavement design include the movement toward mechanistic design procedures that can be “calibrated” by empirical pavement testing, utilization of pavement drainage layers, and designs intended to serve new traffic, such as the Airbus A380. 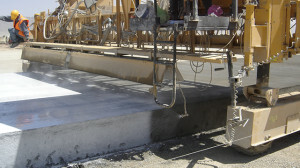 Pavement rehabilitation techniques are also changing as a result of improvements in equipment technology. Examples for asphalt pavements include asphalt milling, microsurfacing, and slurry seal applications. Examples for concrete pavements include rubblization, diamond grinding concrete surfaces, and retrofitting dowels. CA offers broad expertise in pavement engineering to include materials, design, construction, rehabilitation, and management. CA personnel have been involved with projects in all these technical areas, for both roadway and airfield pavement structures. 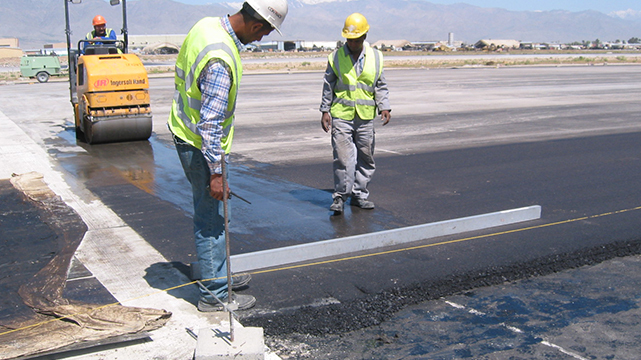 CA understands and knows every aspect of airfield pavements, best pavement reconstruction practices/options and the pavement management process. CA provides an approach that brings both practical reconstruction solutions and pavement maintenance and management program. It is imperative to be proactive when considering the airport’s pavement maintenance and rehabilitation, viewing it as a long-term investment, rather than taking a reactive approach which could lead to operational and financial inefficiencies and, often, unplanned repairs. Airports need to maintain their pavement assets. CA carries out inspection and evaluation of the most severe distresses existing and performs the required urgent repair for each of the different pavement distresses. At the same time, CA develops a Pavement Maintenance and Management Program (PMMP). CA conducts on-site pavement condition surveys to determine pavement condition based upon visual indicators defined by standard methods. Furthermore, the PMMP will select investigations of Pavement Condition Index (PCI) Survey Data Collection, Nondestructive Testing and Structural Evaluation, and Destructive Testing (Subsurface Geotechnical Investigation).